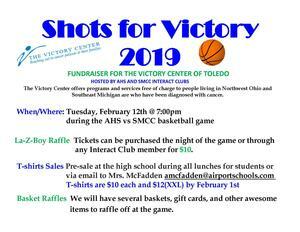 Airport High School Interact Club Presents Shots for Victory! 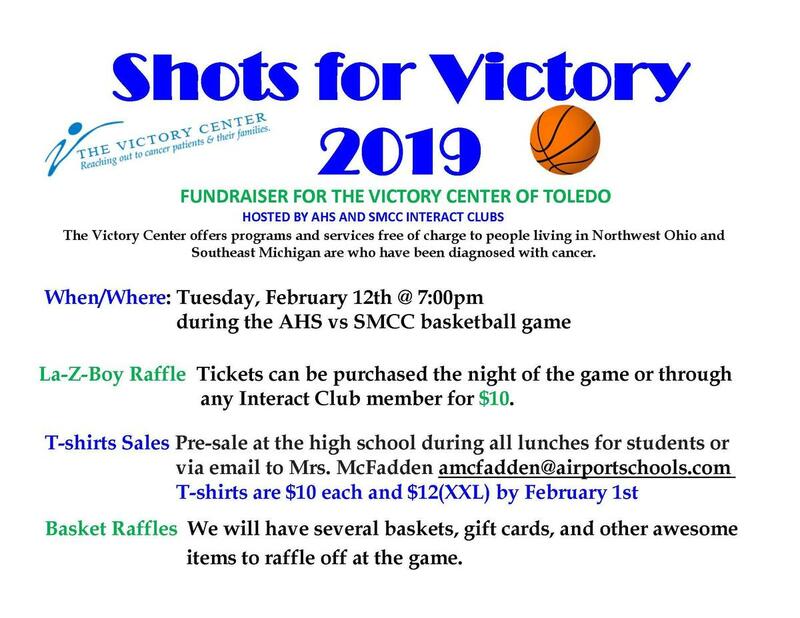 Tuesday, February 12, 2019 at 7:00 pm during the AHS vs SMCC Varsity Basketball Game. There will be a La-Z-Boy Chair raffled off, basket raffles, pre-sale T-Shirt Sales - all for a great cause. Click this link for more information.